Animal Systems Limited (ASL) is a Specialist Integrator and Manufacturer in the South West of England. We Supply Bespoke Design Industrial PCs and Embedded platforms across all manor of industries. We also provide custom HP Server solutions through our HP OEM integration partnership. Animal Systems Limited has been providing Industrial PCs, Embedded PCs and custom platforms for over 15 years. 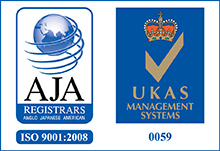 Our systems are built and tested to the highest possible standards, with an ISO 9001:2008 accreditation to prove this. We are not just an HP OEM we are an HP integrator too. Our customer base comes from extremely diverse sphere of operations such as the offshore industries, large Utilities companies and the Communications industry to name but a few. The projects have ranged from an PC you can hold in your hand, a bespoke Industrial PC designed to fit alongside some test equipment in a very small area of a specific size, right through to a full rack of HP Servers. So why do these companies come to Animal Systems? Because they know when they chose Animal Systems they have got more than just a supplier, they gained a partner who will always deliver. They benefit from our sound engineering knowledge and expertise, comprehensive operational and logistical support. Working with our skilled engineers who have extensive experience of computer technology for most industrial sectors, you can depend on Animal Systems to deliver the most up to date and reliable solutions for your applications - on time, within budget and exceeding your expectations.